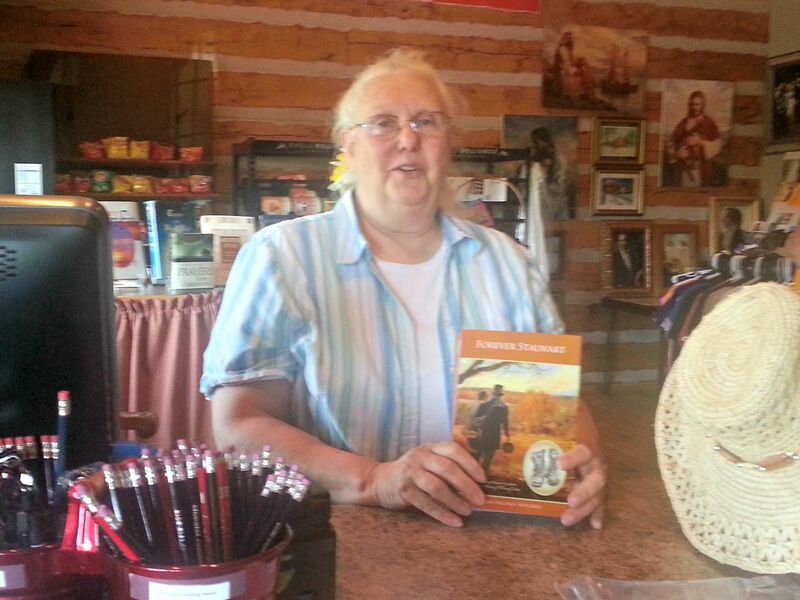 Home » Forever Stalwart » Find our BOOK in the Far West Country Store! 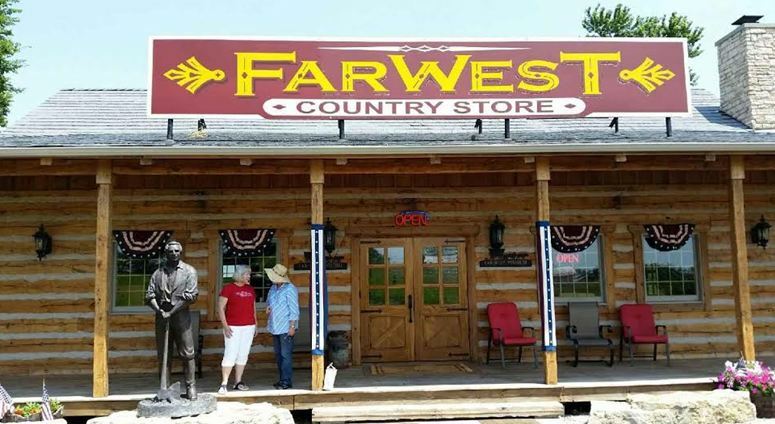 We were excited to meet Craig & Consie Skembo, owners of the Far West Country Store, and delighted when they added our BOOK to their collection of fun and precious merchandise. 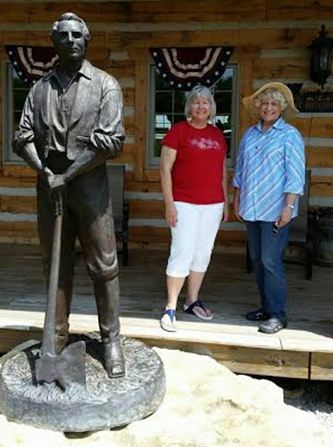 Be sure, when YOU visit, to take your picture beside the grand statue of the Prophet Joseph Smith, like Consie and I did. Many thanks to Carolyn Joyce who let us photograph her with the book for our TREASURED READERS collection. Be sure to send us a picture of YOU reading the book so YOU can be added to our Treasure Chest.